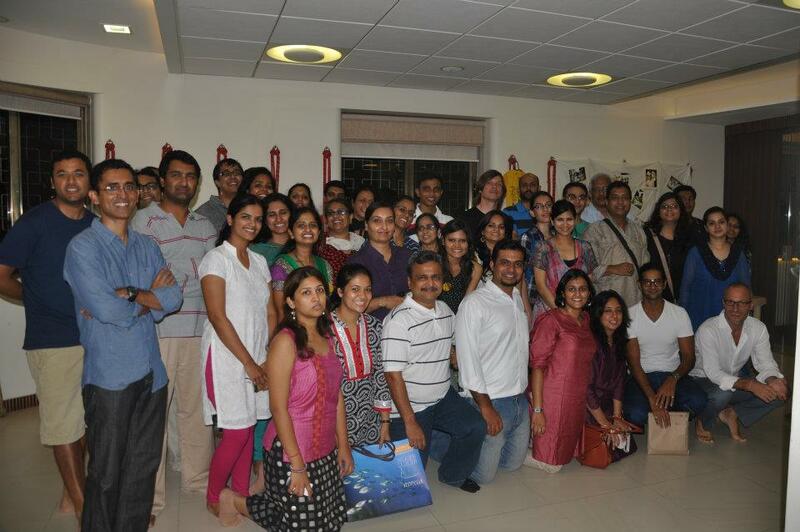 The first ever stakeholder meeting of Toybank was held in Mumbai on the 9th of June. Everyone associated with it from various cities came together and were felicitated for their contributions at various levels towards the success of Toybank. The mood was set by the Toybank band alongside showcasing the journey of the toy bankers in a video Montage. The pictures brought forth vibrancy in the atmosphere and everyone eagerly awaited the speeches to be made by those who had worked sincerely in making Toybank what it is today. The founder of Toybank Ms. Shweta Chari took everyone back to where it all started from “This is the day we want to acknowledge everyone. This has grown from 6 volunteers in 2004 to over a thousand volunteers now. We still wait for the utopian day, when there is no need for the Toybank and every child has a toy in their hands. It has taken us 8 years to convince people about the importance of play”. After this heartfelt speech Ms. Shweta gave a small introductory speech about the trustees and other contributors came forward and shared their experiences. Mr. Purab Kohli (actor/model) said that he first met Shweta at a conference 8 years ago and was happy when she put a toy in his hand and was glad to be a part of this wonderful bank. Mr. Subramanyam requested everyone seated there to spread the word about Toybank, stating it to be a wonderful concept of re-using toys and spreading happiness. Mr. Nimesh who helped with arranging the venue and dinner thanked and appreciated Shweta in her efforts and thoughtfulness in spending money on an organization that has helped put a big smile on the faces of little children for all these years. Mrs. Nagpal form Ecole Mondial school, Juhu, said she was grateful to have been involved with the organization. Karmayog that provided and online platform and Toolbox for helping with the internal logistics of rural Maharashtra were felicitated. The Deloitte and Stylus team that contributed heartily by conducting toy collection drives and four young boys of Ecole Mondial school who sold cookies and bought toys were also felicitated. Then there was the screening of a movie captured by movie makers from Singapore International Foundation, that showed the audiences the activities conducted by the volunteers and their experiences. Swetha Dua who helped start Toybank in Bangalore, Pune and Delhi said that she learnt it step by step and it slowly started to spread to other cities. In Bangalore she found support through I-Volunteer. “I was so happy to see so many smiles and there was no pressure of work at Toybank. I want to give credit to my core team. The best hardworking team and thanks to them I like going to the same workplace everyday’’. Ms. Avni, handling the Toybank in Pune said that this was definitely not an additional social service that they were doing, it was something they enjoyed and loved doing. Siddharth, a volunteer in Mumbai said that it urged him to compromise the beer drinking evenings and do something meaningful. He has worked for Toybank for the past two and a half years and has found it to be a fantastic experience. Shweta Chari said that the entire event was managed by the volunteers and they all seemed driven to make this a success. She gave a special thanks to Farnaza (only full time employee who alongside pursued her MBA). “She sailed through it all. It has been almost 2 years now and thankyou for everything,’’ she said. The Saturday air was filled with pleasant and excited chatter as faces were recognized and hands were shaken. Click here to check out more pics of the Toybank Day!